“Zen” is elusive. It is just one of the many schools of Buddhism, but many people associate it with something more inspirational – an exotic, alternative way to pursue mindfulness through meditation. It is also linked to minimalist arts such as calligraphy (you might have seen “enso”), ink paintings, the Zen garden or the tea ceremony. We can even find Zen-inspired design in the modern economy including Apple products designed by Steve Jobs, who was a Zen practitioner. Except for Zen, none of the other Buddhist schools has managed to occupy such a special place in our culture, inspiring people including those who may have no clue what Buddhism is all about. In that regard, Zen is unique. So what is it exactly? How has it become such a captivating practice that has allowed people to access otherwise complicated Buddhist philosophy and its way of pursuing mindfulness? Zen, and Buddhism in general, has a long history. Buddhism was founded by Buddha in India in the 5th ~ 6th century BCE. Zen emerged as one of the schools of the Mahayana branch of Buddhism sometime during 5th ~ 6th century. It cemented its foundation in China around the 11th century, and was introduced to Japan during 11th ~ 13th centuries. The reason why Zen is pronounced “Zen,” as the Japanese do, even though its origin is India/China, is because it became widely recognized in Western countries thanks to the influential books written by Japanese lecturer, Daisetsu Teitaro Suzuki (D.T. Suzuki) (1870 -1966) in the early 20th century. Buddha was born as Siddhārtha Gautama, the son of a regional king in Northern India. As a future king, young Gautama grew up in comfort and wanting for nothing, but financial/material affluence did not make him happy. Deeply troubled by the harsh reality in which most people had to live in misery, suffering from poverty, diseases and/or conflicts, he left behind his prestigious position in society when he was 29 in order to pursue religious goals. After years of strict training, he attained enlightenment at the age of 35 and became Buddha. He spent the rest of his life practicing Buddhism, and sharing his profound thoughts with his disciples and the followers. His belief centered on zero, or called 空 (kuu) in Japanese, which meant recognizing everything as nothing-ness that was full of potential. This was so profound and capable of embracing anyone from any background that many people followed Buddha. But the difficulties came after his death. Buddha did not record any of his words, and left orders that no leader should be picked to succeed him and pass down his teachings. So his disciples created a committee and started writing down their conversations with Buddha, hoping to find a way to practice Buddhism consistent with Buddha’s teachings. But they were soon mired in a philosophical conundrum: when Buddha said nothing was definitive (and that was exactly why he did not record any of his words), how could they describe his teachings? Despite Buddha’s core guidance not to argue, the disciples couldn’t agree on how to carry on, and ended up breaking into different groups. This dark period continued for several centuries until Nāgārjuna (c. 150 – c. 250 CE) emerged to re-establish Buddha’s philosophy. Before Nāgārjuna’s time, the Buddhists were largely separated into two groups: people who practiced Buddhism while engaging in business-as-usual, and a small number of die-hard practitioners who pursued strict training by cutting off all social ties. The first group was called the Mahāyāna, or the Great Vehicle, because they believed that Buddha would always be there to help everyone, and all were allowed to ride on Buddha’s “Great Vehicle.” On the other hand, the second group believed that the only way to achieve religious enlightenment was through stoic efforts to let go of all desires. Nāgārjuna cemented the foundation of the first group – the Mahayana. Although little is known about his life, he is considered to be the critical philosopher who “saved” Buddhism as the people’s religion, as opposed to the religion only for those who were willing to sacrifice everything for religious goals. As he re-organized Buddha’s belief of the “Middle Way,” he left many writings, most notably “Mūlamadhyamaka-kārikā (Fundamental Verses of the Middle Way),” that became the decisive textbook for the Buddhists who followed him. After Nāgārjuna, Buddhism regained momentum and started to spread across Asian countries, evolving in different directions, adopting to the local social environment. For example, the Dalai Lama, the most famous Buddhist master today, is the leader of Tibetan Buddhism, which inherited the “hidden treasures” of the Mahayana teachings and evolved in a unique direction. Even though the fundamental tenets are the same, the Buddhism practiced in Tibet is different from the way it is practiced in China or Japan. As you can see in the figure above, Nāgārjuna’s Mahayana Buddhism (yellow), which expanded Buddha’s teaching on “空 (kuu),” resonated in Eastern Asia and spread in the region, including to China, Korea and Japan. Interestingly enough, in contrast with Buddha who did not leave any writings, in his mind to preserve the integrity of Buddhism, the people who followed him, including Nāgārjuna, left a plethora of textbooks in every region. They were transcribed, translated and distributed from India to China, then to Korea and finally to Japan. If you wanted to be a priest, you had to study many textbooks in several languages. As much as it was a religious pursuit, it was also an intellectual endeavor. Zen was born during the 5th ~ 6th century and advanced in subsequent centuries as an alternative to the increasingly scholarly Buddhist doctrines. Bodhidharma, who is believed to have established the foundations of Zen, is said to have meditated facing a wall for nine years. His approach was to keep meditating until he became part of the wall so that he could see everything from a completely neutral perspective. Zen believed in the “physicality” of zazen (meditation) as a medium to reach religious truth. D.T. Suzuki observed that Zen was the product of the cross pollination of India’s highly philosophical belief system and China’s experience-based pragmatism. Zen cemented its foundation in China by focusing on uniting physical and religious enlightenment through meditation. The Zen masters denied the relativity of philosophical theories that were written down because they were prone to multiple interpretations. Zen evolved further in China, branching into multiple sub-schools in the next several centuries. The Japanese started studying Zen after the 11th century. Some priests went to China, and some Chinese Zen masters came to Japan to teach. It soon became a major social force reflecting the transformation that Japanese society was going through. When Zen was introduced to Japan during the 11th ~ 13th centuries, the country was in the middle of social/religious revolution. Buddhism was first introduced to Japan in the 6th century and was enthusiastically supported by the aristocrats who were in power. But by the time Zen arrived, Japanese society had started to grow larger, moving beyond the control of the aristocrats. The conflicts between them and regional military leaders intensified. People had to suffer from constant warfare and famine, and were desperately in need of something they could lean on to overcome their despair. Responding to their desperate cry, six new schools of Buddhism emerged, opening up their doors to helpless people with no power. Three schools, or “shu” – 浄土宗 (Jodo-shu), 浄土真宗 (Jodo-Shin-shu) and 時宗 (Ji-shu) were founded by Japanese priests, advocating “他力本願 (tarirki hongwan, meaning your salvation is always guaranteed by the mercy of Buddha).” Jodo-shu and Jodo Shin-shu leveraged the nembutsu chanting: ”南無阿弥陀仏 (namu amida butsu) – I will devote myself to the mercy of Buddha.” Illiterate people (which were the majorities) enthusiastically supported nembutsu chanting to endure hardship. Jishu, one of the Jodo-shu’s sub-schools, even added dancing and singing to the nembutsu chanting. It resonated with many people who were oppressed and suffering. Of the three, Jodo-shu and Jodo Shin-shu are the two largest schools practiced today in Japan. After these, there were two schools of Zen that were brought from China: Soto-shu and Rinzai-shu. The remaining one was Nichiren-shu. Those six schools are called “鎌倉新仏教 (New Buddhist Schools emerged in Kamakura era)”. Although each of six had a unique approach to share Buddha’s teaching to save people, five out the six embraced a new audience including ordinary people, peasants, women, local samurai, rank-and-file aristocrats and disadvantaged people. The only exception was the Rinzai school of Zen which garnered support from military leaders and became influential as the ally of the aristocrats – existing Buddhist schools started to lose power to the coalition of the military leaders – Rinzai-shu. The rise of Japanese Zen was in line with the rise of military power, the Kamakura dynasty (1192 – 1333) – the first military regime in Japan – and the Muromachi dynasty (1336 – 1573). As has been the case historically with other regimes in the world, religion and political power were closely linked in Japan. The authorities supported existing schools such as Tendai-shu or Shingon-shu, and rejected Zen as new and foreign. And exactly because of that, emerging regional military leaders picked Zen as their own school to counter the aristocratic establishment. Zen was particularly effective to keep moral high for samurai warriors because it prioritized stoic physical training (meditation). 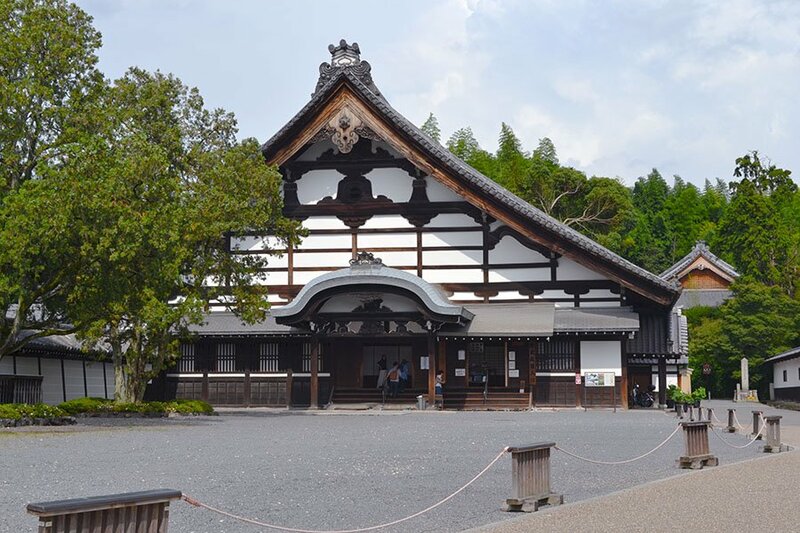 They were especially invested in the 臨済宗 (Rinzai-shu) because the other major Zen school, the 曹洞宗 (Soto-shu), distanced itself from politics and attracted core followers from among the ordinary people and local samurai. As the aristocrats started to yield to military power, the Rinzai-shu also started to increase its influence. And since the priests were the intellectuals, internationalists (they had strong connection with China – the power center in Eastern Asia) and trend setters with unique quasi-neutral social status, the Rinzai priests were highly sought after during this unstable, conflict-ridden time, helping the military dynasties to cement their foundations. Both the Kamakura and Muromachi dynasties tried to incorporate the Rinzai-shu as part of the social system, and established the 五山十刹 (Gozan-jissatsu) system, copying the Chinese who ranked the Buddhist temples and prioritized high ranking ones. There were Gozan-jissatsu both in Kamakura and Kyoto, and many of them still exist today as religious/historic centers attracting many visitors. It was mainly the Rinzai-shu Zen priests who helped the military leaders as mentors, advisors, diplomats, negotiators, innovators, and led the wabi-sabi culture as trailblazing artists. 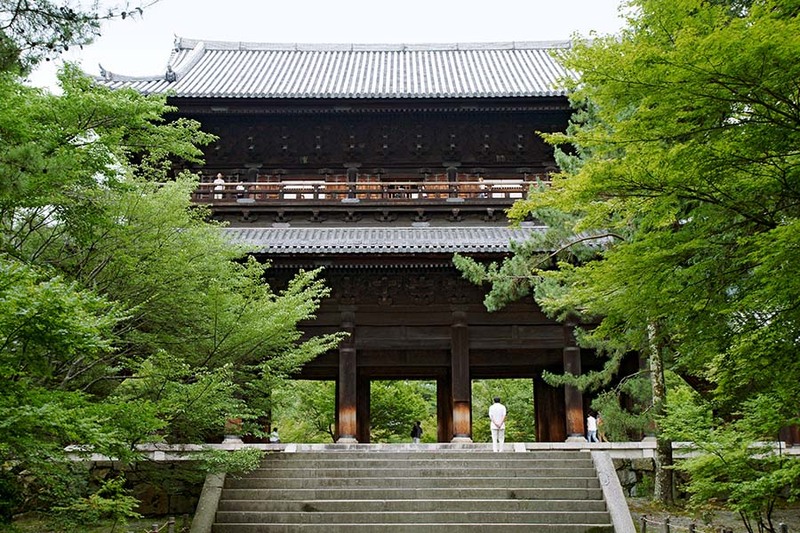 Left: Nanzen-ji, Right: Tofuku-ji were part of the Kyoto Five Mountains (Top five Rinzai-tempels).